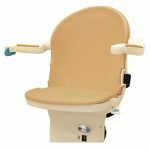 Handicare Simplicity Straight Stairlift From Just £1495! Handicare Simplicity offers a safe, practical and reliable solution for your straight staircase. 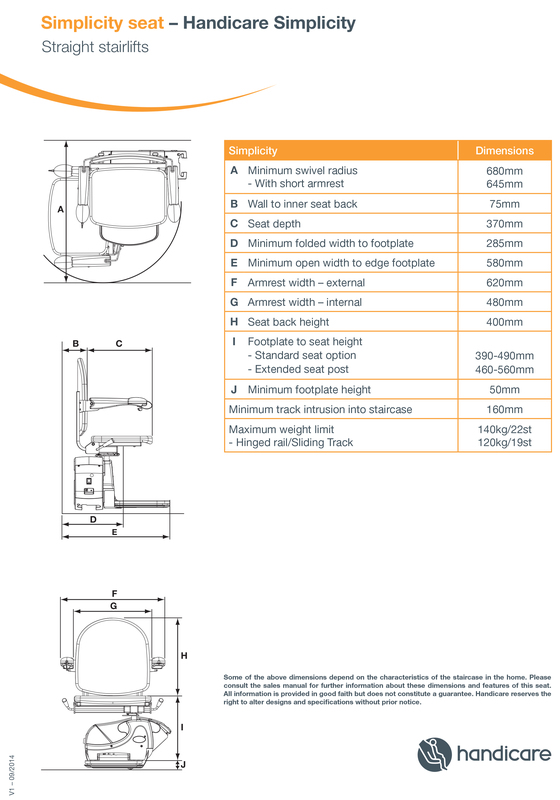 If you do not require a powered swivel or a powered hinged rail and you have a straight staircase, the Simplicity offers you a safe and cost effective way to overcome the challenge of climbing your stairs. 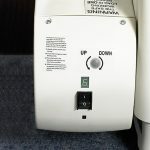 If you do require powered options then please look at the Simplicity PLUS. 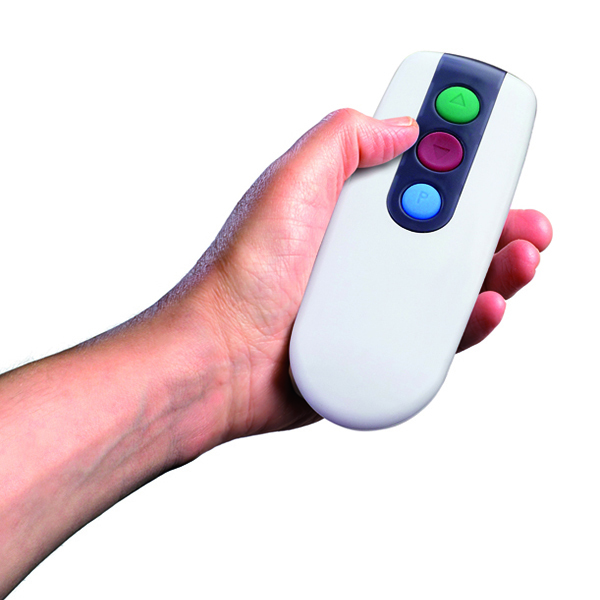 The operating toggle is easy to use, simply hold it towards the direction you wish to travel, up or down, and your Handicare Simplicity will move smoothly and gently on its way. 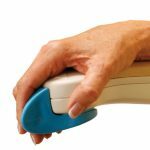 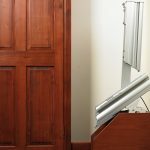 The Handicare Simplicity also comes with two remote controls which means you can move it along the track freeing up space in your hallway. 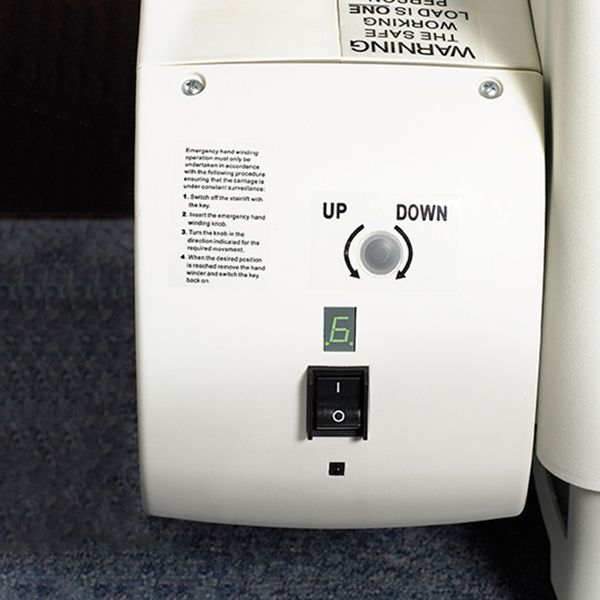 A useful feature of the Handicare Simplicity straight stairlift is the carriage cover. 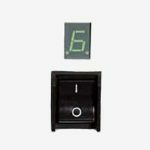 Not only is an active safety circuit but it also has a digital diagnostic display built in to it. Using simple codes it is easy to identify any faults that may occur. 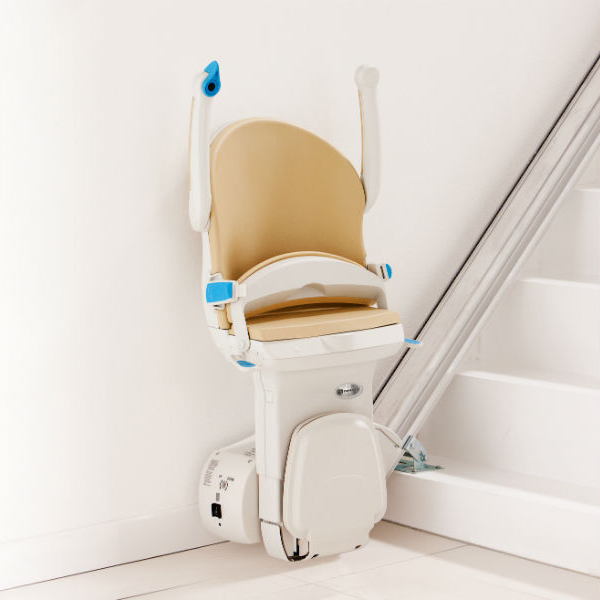 The compact unit folds up leaving the staircase free for other users. The upholstery of the Simplicity is available in a Sand coloured, wipe clean, flame retardant fabric. 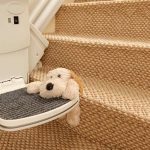 This practical and hygienic covering is also hard wearing.